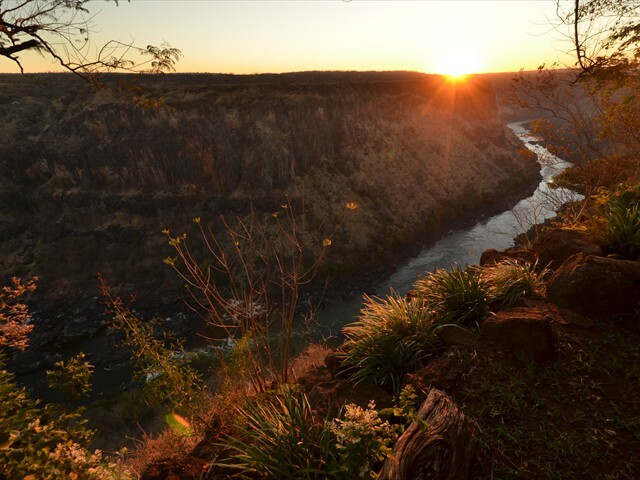 The cooler temperatures of winter seemed to drag on into late August in Victoria Falls but now as we sit here in Mid-September temperatures have warmed up considerably and as we head into October the hottest month of the year we will soon be wishing for winter again. Daylight hours are getting longer as the most beautiful red orbed sunrises come earlier and sunsets come later. Although around the well watered hotels, lush residential area and river banks indigenous trees still have some leaves, in the national parks just about every tree has now dropped its foliage completely. The grass is golden, parched by the sun and it is now that the bush takes on that real dry, hot and desolate look so synonymous with Africa. 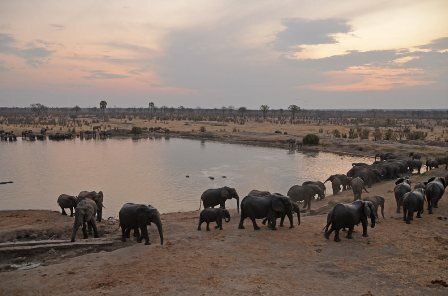 Despite the good rains which we had last season inland water sources are now drying up completely and the wildlife starts to gather around the only permanent water sources like the Zambezi River, natural springs and the pumped waterholes. 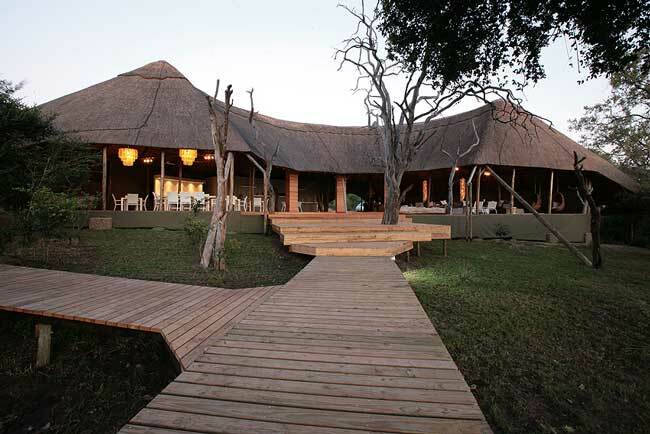 It’s peak game viewing time, and if you are lucky enough to be travelling to Victoria Falls or one of the nearby game parks at this time of year you are going to have a blast. Many of the summer migrant birds like the African skimmer, yellow billed kites and rock pratincoles have started to arrive in their numbers all adding to the awesome spectacle and if you are a keen fisherman now is the time to be casting in a line. The water flow over the Falls is receding quickly which is normal at this time of year as the eastern side of the Falls along Horseshoe Falls, Rainbow Falls and the Eastern Cataract start to dry up. As always the water flow is still strong across Main Falls and Devils Cataract which can only be viewed from the Zimbabwean bank or from Livingstone Island. 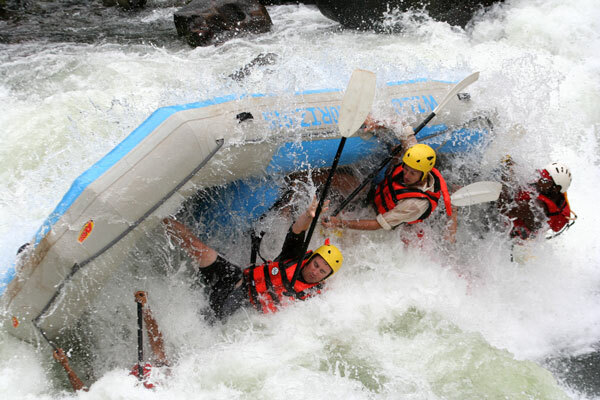 So do make sure that if you are staying in Zambia that you make a trip across to Zimbabwe to see the full might of the Victoria Falls. Oh and also do yourself a favour and get up early one morning and enter the Victoria Falls National Park at 6am to see the sunrise over Victoria Falls, it is one of the most spectacular sights you will ever see, so few people do it you will find that you often have this phenomenal experience completely to yourself. 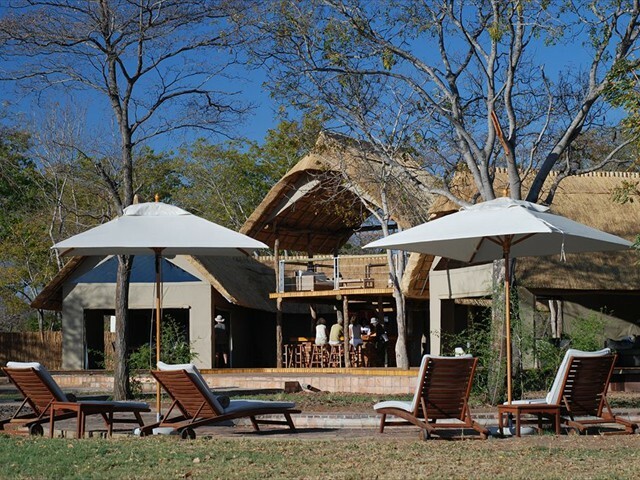 It’s been a very busy few months at Victoria Falls with new activities on offer, new restaurants and lots of development going on at the hotels upgrading and adding to their already current facilities, just emphasising the confidence investors are having in this amazing destination. 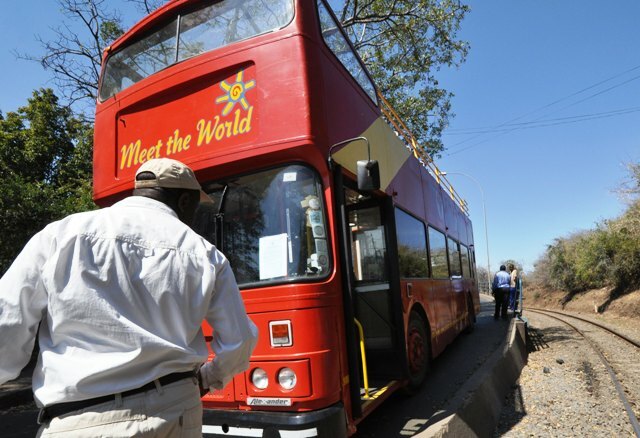 Hotel and activity operators are upbeat as the number of tourists keep climbing year on year, with some hotels reporting over 90% occupancy. We have reported on some of the developments in the articles below and will endeavour to keep you updated in the upcoming newsletters. There is so much happening it’s hard to keep up. Click here to subscribe and receive future editions of our newsletter directly by email. To legalise, or not to legalise the sale of rhino horn is the hot topic of debate about this endangered mammal. There certainly are many factors to consider. Arm yourself with some knowledge and join the discussion by clicking here. Have you ever seen a crocodile chilling by the river/lake shore, looking lifeless with its mouth wide open? Ever wondered why? Could it be a way to catch unsuspecting prey? Makes sense. But actually, this is a croc's way of cooling off. They sweat through the mouth! 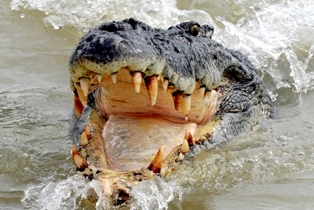 Did you also know that a crocodile's tongue is attached to the bottom of its mouth and so it cannot stick out its tongue? Fortunately for them, this also means that they cannot bite their own tongues! 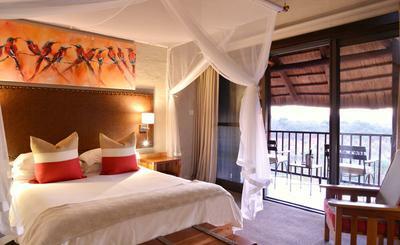 "Hi Boo, Wanted to tell you what a unbelievable time we had here at Victoria Falls. Everything ran so smoothly and the people were so friendly. We will give you a excellent review when we returned. If you have any question for me let me know. Don't forget you can follow us on Facebook and Twitter for all the latest travel information updates from the region, and we’re always here to help with your travel logistics. Contribute - If you would like to submit your safari story or send us some pictures to feature in an upcoming issue please click here.